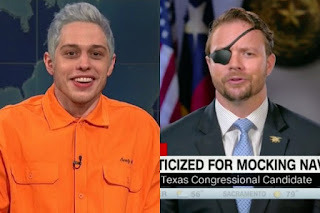 You might want to look at Dan Crenshaw platform before ooooing and ahhhing over him. Guns on demand. As with his party he talks a tough game on background checks (only) but his party will not do anything. Other than that it is guns on demand for everyone. Want an Uzi? You got it! Military spending. He supports Trump's military build up and his attack on our allies. Supports the tax cut. He supports the tax cut for the 2% which has cratered the deficit. Supports cutting Social Security. In order to pay for the tax cuts he supports cutting Social Security, Medicare, and Medicare. All to appease the 2%. Immigration. Supports building the wall, separating families, and trump's immigration plans. Religious discrimination. Believes in discriminating of those who have different religious beliefs. He calls it "Freedom". The freedom to discriminate. School Vouchers. He supports school vouchers allowing the rich to pick and choose their own schools. Free Speech. He believes we are too "politically correct". Whatever that means. Healthcare. Yells SOCIALISM every chance he gets. He wants us to go back to the way it was before the Affordable Care Act. His positions have all been shown to be bad ideas and have never been implemented for good reasons. He basically has no idea of what he is talking about. Lucky for him and his family, they are covered for life by the US Military. Doesn't believe in climate change. Nothing to see here. Typical anti-science republican. 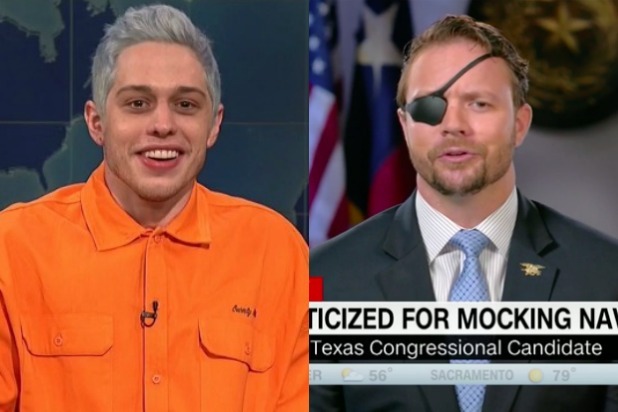 Crenshaw was given a great opportunity to look like a human being on Saturday Night Live. He made the best of it acting like he is the middle of the road, let's come together, blah blah blah, type of guy. He isn't. NOTE: I was incorrect. The Houston Chronicle Endorsed Todd Litton not Crenshaw. "The Houston Chronicle Endorsed Todd Lurton not Crenshaw."